Everything that may be of interest to fishers and hunter. 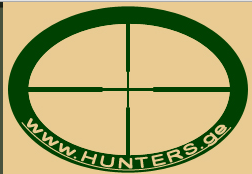 The law, classifieds, forums, photo and video gallery, tools, meat preparation. For more details about the car, just please contact me. Thank you. For the new building, brand new building, studio type apartment, furnished, rented preferably foreigners. FAST TRACK TRAINING Announced by STC Education Dubai UAE. FOR SALE 600 square meters of land from the sea 100 meters away from the center of Makhinjauri. Assent. 0ne room appartment for rent. vazha-pshavela 7 district.2/4. Furniture, refrigerator, washing machine, internet. Price 190 dollars. Tel: 577458079. English language speaker Guide - Driver serves you in Batumi with very comfortable bussiness class sedan vehicle . This is clean, comfortable apartment with bathroom and kitchen. Kitchen has refrigerator, gas, heating, hot water, electricity. Close to Metro Station "Didube" Floor 8, elevator is working. Room has bad, table, closet, internet, sofa. Siberian Husky Puppies Blue eyes Ready One male and two female Siberian Husky puppies for sale. Raised Underfoot in our home. Well socialized with children and other Pets. Vet exams, dewormed and first vaccines. Tours of the entire territory of Georgia, at your disposal a comfortable car-minivan for 7 passengers, experienced driver and translate 574-777-329. Complex of commertial real estate objects just in 5min away from the downtowns center of Riga city. Flat rent on Guramishvili's avenue. New built, building № 78, 2 badroom, reception room and kitchen, all services. 3 bedroom flat to rent on Rustaveli av. I am a Canadian citizen and the first and only owner of this Jeep. Its in ideal condition. Need to sell it as soon as possible as moving out of country soon. I'll teach pupils russian language! I'll teach pupils russian language,from the third grade to seventh grade.16$ in a month. If you contact with me by mobile, so send me message because my mobile voice is not good besides my family mambers do nont know English. Two-room apartment for rent in newly built building, newly renovated with equipments, Metro Saradjishvili and Guramishvili, with Eastern Europe University.